Outstanding advice on real estate tax and project finance. Handles all stages of construction and development for investment funds, developers and contractors. Regularly advises on transactions involving large infrastructure and agriculture projects as well as hospitals. Also assists with the construction of office spaces, residential units and retail developments. Another interviewee appreciates the department's "availability and follow-up." Assisted Immochan with the leasing, financing and construction aspects of a real estate development and urban regeneration project. Florian Nițu has an outstanding track record, with clients enthusing: "He is very experienced in sophisticated investment models and a highly regarded specialist." He offers expertise in transactional real estate work, assisting domestic and international developers and investors. Valentin Creata is lauded by one source as "a very good real estate lawyer," while another highlights his "real estate experience, creativity and negotiation skills." He often acts for investment funds and industrial developers, and advises on office and residential lease agreements and property acquisitions. Robust group advising on a range of corporate and civil disputes, as well as international arbitration. Areas of strength include bankruptcy proceedings, debt recovery, competition and tax. Particularly active in the finance and energy sectors, boasting new client wins such as Enel. Clients appreciate the efficient pace at which the team works, noting: "They are very proactive and have a high level of independence on tasks." Another source appreciates the "very responsive and well-managed" team, and adds: "We had an instant feeling of being in good hands." Advised IMMOFINANZ on a EUR167 million dispute regarding the development of a commercial centre and cancellation of a share sale purchase agreement. Ciprian Dontu represents multinational corporations and financial institutions in litigation and arbitration proceedings. One interviewee lauds his "out-of-the-box thinking," which they say is "perfect for a litigation lawyer." His expertise in cross-border litigation also stands out to commentators, who note that "he works well in cross-border disputes." Broad TMT capabilities including transactional and advisory services. Advises on mergers and acquisitions in the telecoms industry as well as assisting with the construction and operation of networks. Also handles contentious matters on behalf of media and technology clients. Assists with licensing agreements, IT procurement and data protection. Sources describe the team as being "knowledgeable, reactive and pragmatic," adding: "Their advice is straight to the point and applicable in practice." Advised Orange Romania on retransmission and distribution agreements with external content providers. Ernest-Virgil Popovici and Florian Nițu are key contacts for the practice. Defends clients in investigations into price fixing, bid rigging and abuse of dominance. Key litigation partners stand out for their work on court appeals of Competition Council decisions. Offers compliance training to a range of clients including those in the IT and retail industries. Further offers compliance support. Clients benefit from the team's pragmatic approach to mandates. 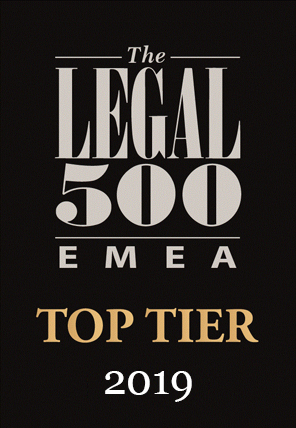 One describes "experienced and smart competition lawyers who understand my industry very well." Advised HP on its appeal against a Competition Council fine for abuse of dominance. Mihaela Ion acts for clients in contentious investigations and appeals. Sources highlight her determination, with one reporting: "She fights for the clients she represents and clients like her approach." She has further experience in merger control and investigations mandates. Boasts a strong reputation in the real estate sector, acting for large international retailers and developers on acquisitions and joint venture agreements. Has demonstrable capacity to handle transactions of all sizes ranging from high-value energy sector transactions through to smaller deals on behalf of domestic entrepreneurs. Acts on corporate governance and regulatory mandates for key telecoms, financial services and automotive sector clients. Also advises foreign-headquartered corporate clients on inbound Romanian acquisitions and on the local implementation of global restructurings. "They are quick, they understand the sense of urgency when there is one and they provide reliable advice," says one client. Interviewees note the lawyers' ability to "build up personal relationships" with clients. Acted for an investment fund on the sale of its shares in four Electrica electricity distribution subsidiaries. Market commentators note Bogdan C. Stoica's presence in many of the firm's key M&A mandates. His experience in inbound strategic acquisitions was showcased in advice to Voestalpine on its acquisition of Barum Technik. He also advises on joint ventures and acquisitions in the real estate sector. Clients appreciate the clarity in his advice, saying: "He takes each issue step by step and explains what could and couldn't happen in each situation." Standout mandates for Florian Nițu include his advice to Diebold Nixdorf on the restructuring of its Romanian operations in order to implement the global merger between Diebold and Wincor Nixdorf. He is well known in the market both for his prominent position as the firm's managing partner and for his considerable experience in corporate and real estate transactions. Diverse expertise in Romanian employment law, regularly acting on transfer of business, collective negotiations and disputes with trade unions. Also knowledgeable in designing wage and pension conditions, as well as regulatory and compliance issues. Additionally, assists clients involved in mergers and acquisitions with the related employment issues. Acts for both international and domestic clients on local as well as cross-border matters. Clients consider lawyers to be "very capable and knowledgeable," as well as "very flexible." Assisted Leroy Merlin Romania with two collective negotiation processes. 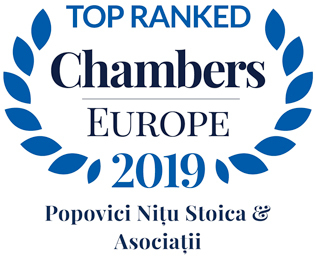 Vlad Neacșu is lauded as "a very good lawyer," and acts on a wide range of employment matters, including strategic negotiations and compliance with new legislation. He assists clients from the food and drinks, technology and agriculture sectors. Notable IP team handling a broad range of mandates, including trademarks, licensing and copyright issues. Also represents domestic and international clients in IP-related disputes. Represents clients active in financial services, sport and distribution. Additional expertise managing a variety of intellectual property portfolios for clients from the software sector. Clients report that the lawyers "do extensive research to better assess the problems in hand, are determined to provide innovative solutions and are able to meet tight deadlines." Another source emphasises that the team "shows a high level of experience." Advised Auchan on all IP aspects of the production and distribution of 'Untamed Romania,' a documentary about Romanian wildlife. Cristian Popescu is a key contact in the department. 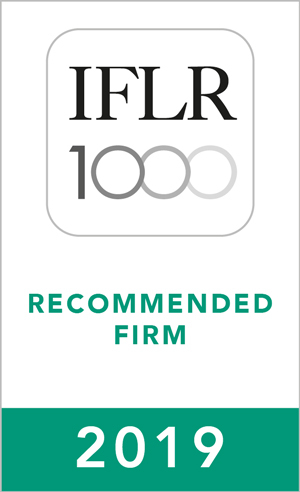 Well-regarded Romanian firm with broad knowledge across a variety of projects involving domestic and international clients. Significant involvement in infrastructure and utilities matters, notably acting on public procurement matters. Also advises on PPP contracts and represents clients in procurement-related litigation. Represented Swietelsky in a complaint relating to the award of a contract for the repair of a railway line. Alexandru Ambrozie and Irena Anca Tudorie are the key contacts for the team. Well-regarded tax practice with particular strength in corporate transactions and restructuring. Advises on both direct and indirect taxation, and experience includes income and capital gains tax aspects of changes to employee remuneration schemes. Acts for clients in the finance, agriculture, real estate, telecoms and healthcare sectors. Also represents clients in tax investigations. Clients note that the lawyers are "available when necessary and understand our business." "They help us assess the risks and make the most balanced decisions," a source comments. Assisted Auchan with the tax implications of a complex merger process. Mihaela Pohaci acts on a range of advisory mandates, assisting clients from the financial services, transportation and real estate sectors with transactional taxation advice, transfer pricing and VAT. Respected practice advising international leasing companies on cross-border financing mandates, as well as acting on behalf of foreign and local banks. Additionally assists borrowers with lending facilities and financings. Recent activity includes the financing of real estate and public infrastructure projects. Advised two subsidiaries of IMMOFINANZ Group on the financing of real estate projects through loans of up to EUR71.5 million granted by Raiffeisen Bank. Alexandru Ambrozie's clients include investment funds, real estate developers and banks. He assists with both the lending and borrowing sides of transactions, and also offers regulatory advice. Represents financial services providers in litigation proceedings relating to insolvencies and bankruptcies, notably acting on mandates relating to debt recovery. Experienced in dealing with cases that have international elements. The key contacts for the firm are Ciprian Dontu, Bogdan C.Stoica and Valentin Creata.